On March 9, 2017, then-FBI director James Comey briefed the Gang of 8 on the FBI's investigation into Russian interference in the 2016 election, including the "principal U.S. subjects of the investigation," according to a redacted version of the Mueller report. What's new: On March 16, Senate Intelligence Committee Chairman Richard Burr (R-N.C.) informed the White House counsel's office of the existence of "4-5 targets" in the Russia investigation, according to meeting notes written by Don McGahn's then-chief of staff, Annie Donaldson. Mueller does not make clear whether Donaldson was present at Burr's briefing. On March 16, 2017, the White House Counsel's Office was briefed by Senator Burr on the existence of "4-5 targets." The "targets" were identified in notes taken by Donaldson as "Flynn (FBI was in—wrapping up—) -> DOJ looking for phone records"; "Comey~Manafort (Ukr + Russia, not campaign)"; [REDACTED]; "Carter Page ($ game)"; and "Greek Guy" (potentially referring to George Papadopoulos, later charged with violating 18 U.S.C. § 1001 for lying to the FBI) Donaldson and McGahn both said they believed these were targets of SSCI. But SSCI does not formally investigate individuals as "targets"; the notes on their face reference the FBI, the Department of Justice, and Comey; and the notes track the background materials prepared by the FBI for Comey's briefing to the Gang of 8 on March 9 (Donaldson could not rule out that Burr had told McGahn those individuals were the FBI's targets). Why it matters: The Senate Intelligence Committee's Russia investigation has long been considered to be less partisan than its House counterpart, which has been marred by infighting. 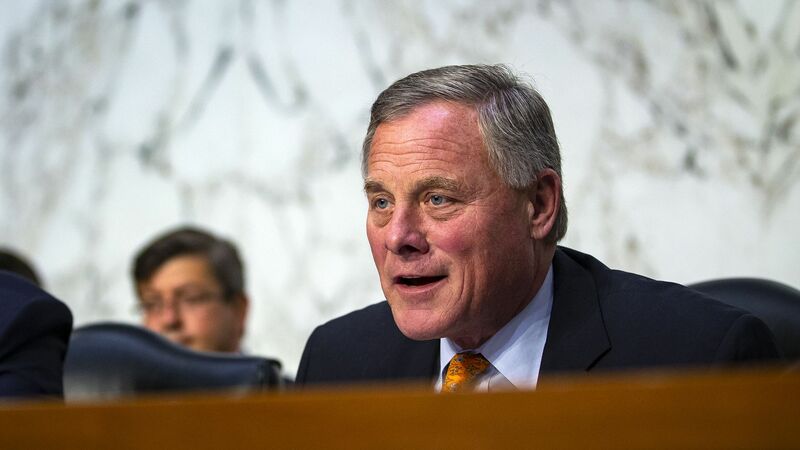 It's unclear whether Burr had the blessing of Ranking Member Sen. Mark Warner (D-Va.) to brief the White House. "Chairman Burr does not recall this specific conversation with Mr. McGahn in March of 2017; however, any conversations between the two would have been in reference to the need for White House personnel to voluntarily comply with the Senate Intelligence Committee’s Russia investigation. If specific individuals were discussed, they would have been those known to the Committee, the White House, and the media. The Chairman’s stewardship over the Committee’s bipartisan and fact-based investigation over the last two years speaks for itself."